Metal Dog Tags | Product Catalog | ProRose Inc. RUGGED STAINLESS STEEL! One Color to Full 4-Color Process Imprint Included! 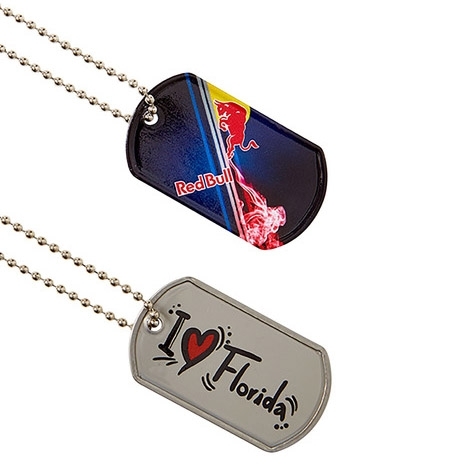 Ever popular Dog Tags include from 1 color to full 4-color process printing on one side. Sturdy Stainless Steel with a 30" ball chain, rolled edges and clear coat finish make this a durable and long-lasting promotional product. Great for organizations, teams, souvenirs, schools and so much more. Individually packaged in a zip-lock poly bag with tag and 30" ball chain. NEW FOR 2017! One Color to Full 4-Color Process Imprint Included! 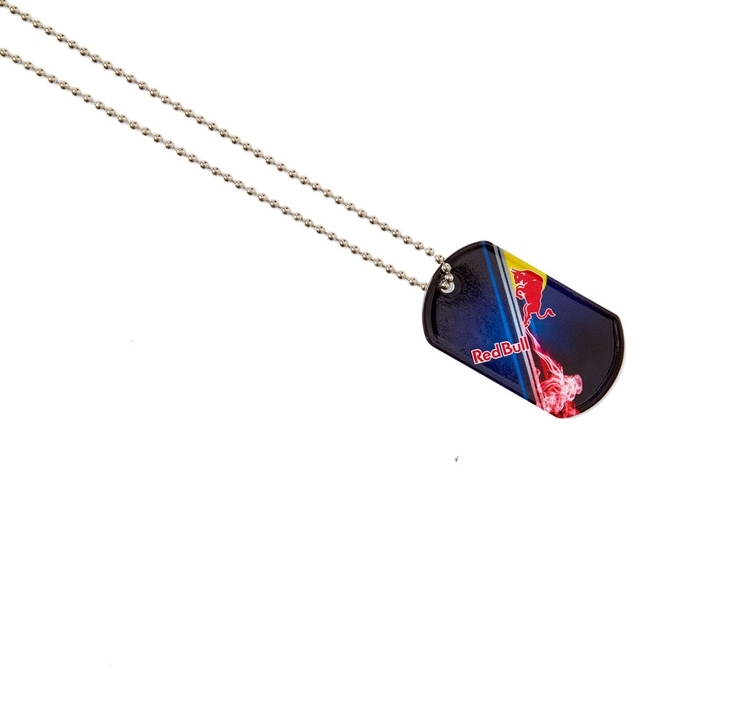 Ever popular Dog Tags include from 1 color to full 4-color process edge to edge printing on one side. Sturdy white powder coated Stainless Steel with a 30" ball chain, rolled edges and clear coat finish make this a durable and long-lasting promotional product. Great for organizations, teams, souvenirs, schools and so much more. Individually packaged in a zip-lock poly bag with tag and 30" ball chain.